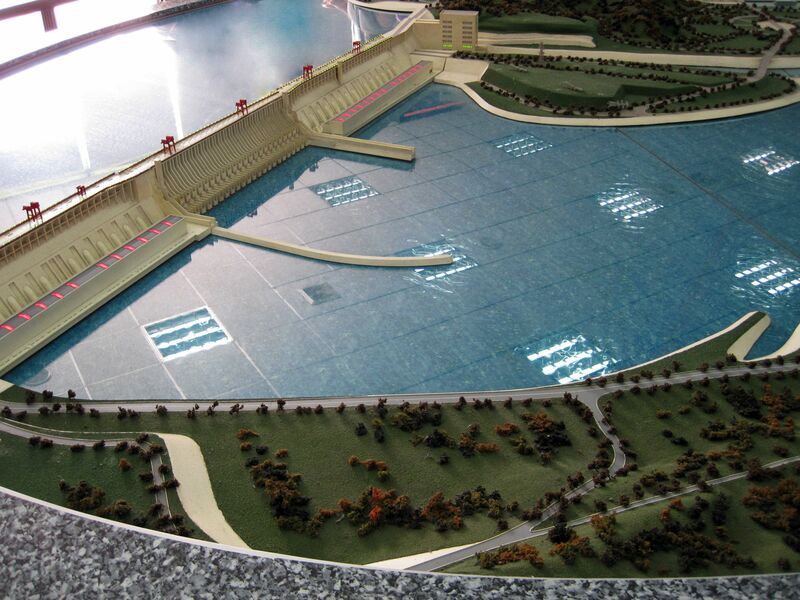 Three Gorges Dam is an engineering marvel. 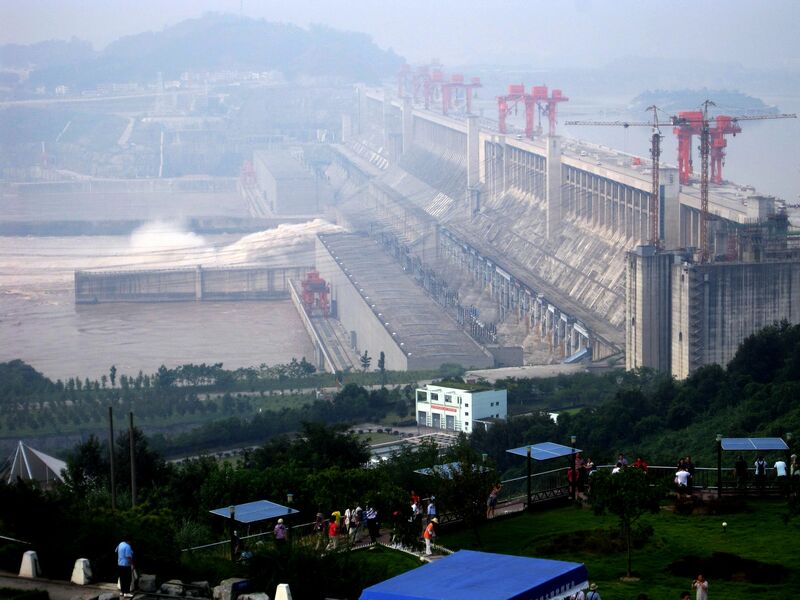 This world’s largest hydroelectric structure regulates navigation on the Yangtze River, controls floods and generates enormous quantities of electrical power. It’s an object of admiration, a monument to human ingenuity and source of fear of possible consequences of interference on such scale with works of the Mother Nature…. In the past, the Yangtze’s water flow through Three Gorges was as turbulent, capricious and dangerous as its upstream descent from the Tibetan Plateau. Over the distance of just 200 miles (320 km) through 3 Gorges, the Yangtse’s water level drops from 630ft (192m) to mere 130ft (40m). It may be not much for small mountain stream cascading down the hill, but it is very impressive and far-reaching in consequences for an enormous volume of water carried by the mighty Yangtze River. 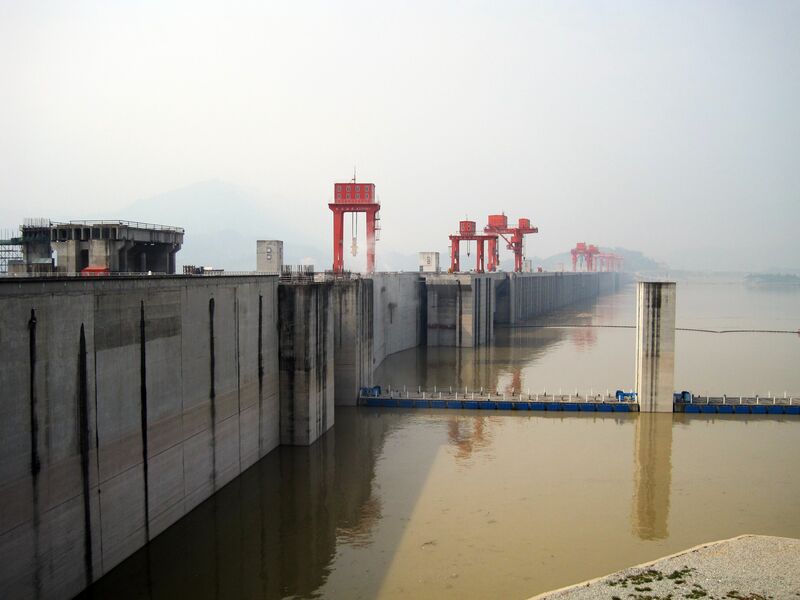 Things drastically changed with the construction of the world’s biggest hydroelectric structure called Three Gorges Dam located near the village of San Dou Ping in the middle of Xiling Gorge. The dam is about 7,660 ft (2,335m) long, 607ft (185m) high, 59ft (18m) wide at the top and 427ft (130m) at the bottom. The dam increased the water level by about 260-to-360ft (80-to-110 meters) creating approximately 370 miles (600 km) long reservoir. It has the mind-blowing storage capacity of about 10.5 trillion gallons (40 bln cubic meters) of water of which 5.8 trillion gallons (22 bln cubic meters) is allocated for the flood control. The reservoir flooded approximately 570,000 hectares of land, thousands of villages and small towns forcing massive relocations of more than 1.3 million people! 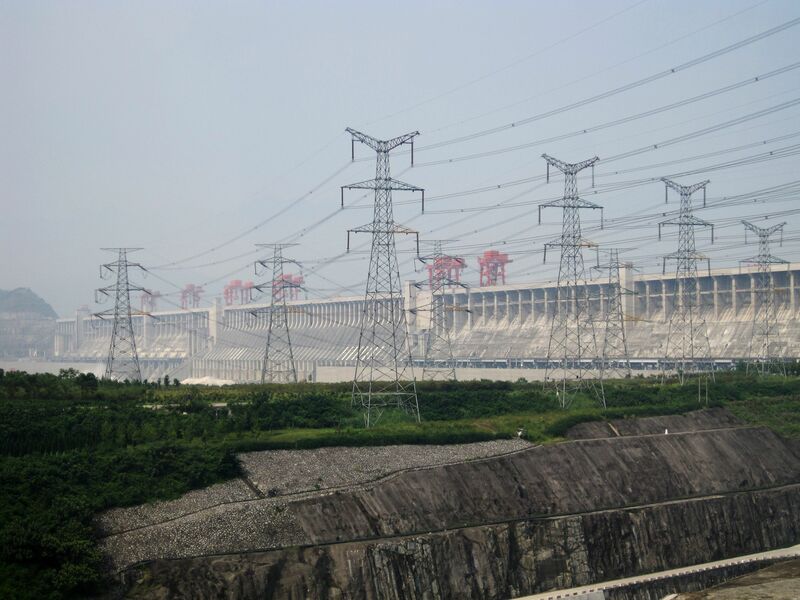 In terms of installed power generation capacity (18.2 GW), the Three Gorges Dam surpasses the previous champion – Itaipu Dam on the Parana River (Brazil and Paraguay border). 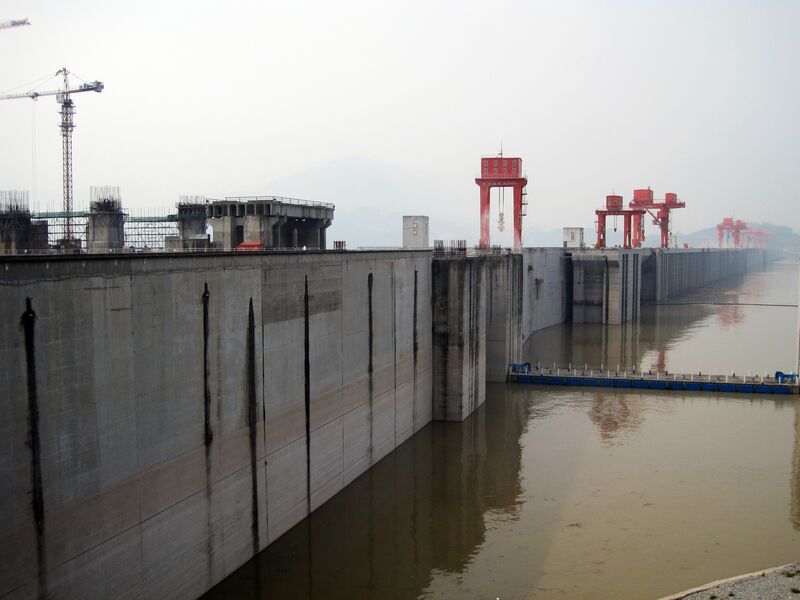 Given the scale of the project and geological conditions, the 3 Gorges Dam is a modern engineering marvel. 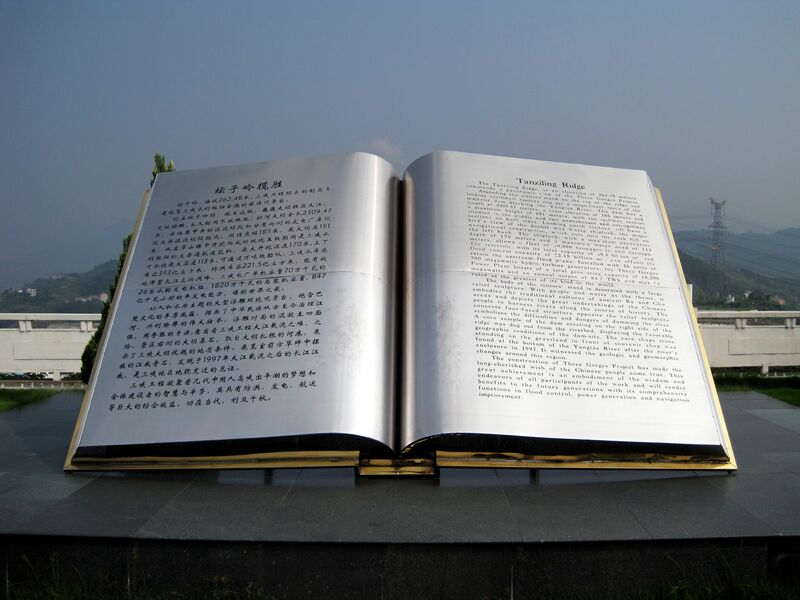 It is a monument to human ingenuity and unrestrained power of imagination. It is also an example of “materialization” of dreams of many generations of those living along the Yangtze whose lives have been threatened by frequent flooding. 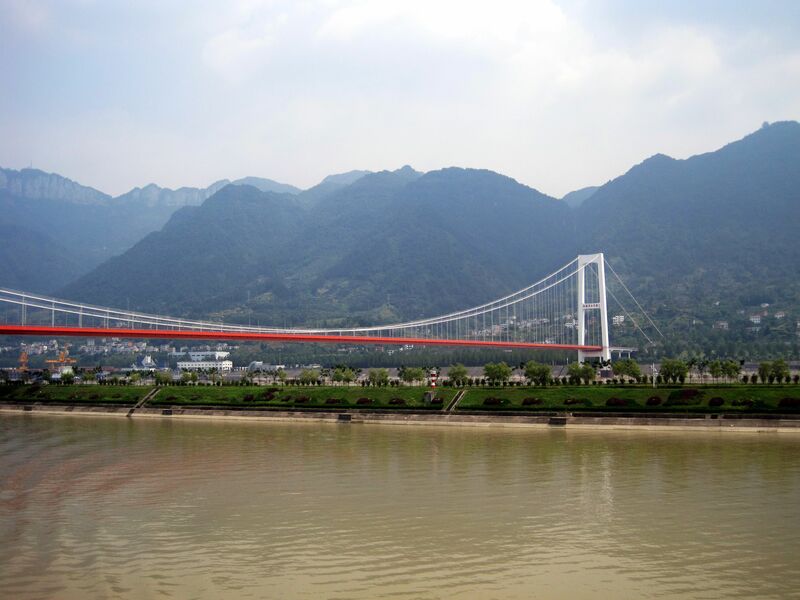 It is also an answer to "prayers" of those that traveling down the Yangtse’s waterway have been facing dangers of swirls, boulders and sometimes loosing their lives on the way…. Its construction started in 1996 and took 10 years to complete. But frankly, such gigantic projects are never finished – usually they belong to the category of those characterized as “work-in-progress”. For example in 2010 there were still ongoing construction works on the express lane called “Ship Elevator” (ship-lift) allowing vessels up to 3,000 tons to be lifted to the top of the dam in one 30 minutes-long step instead of going through the lengthy more than 2 hrs trip through the set of 5 ship-locks. 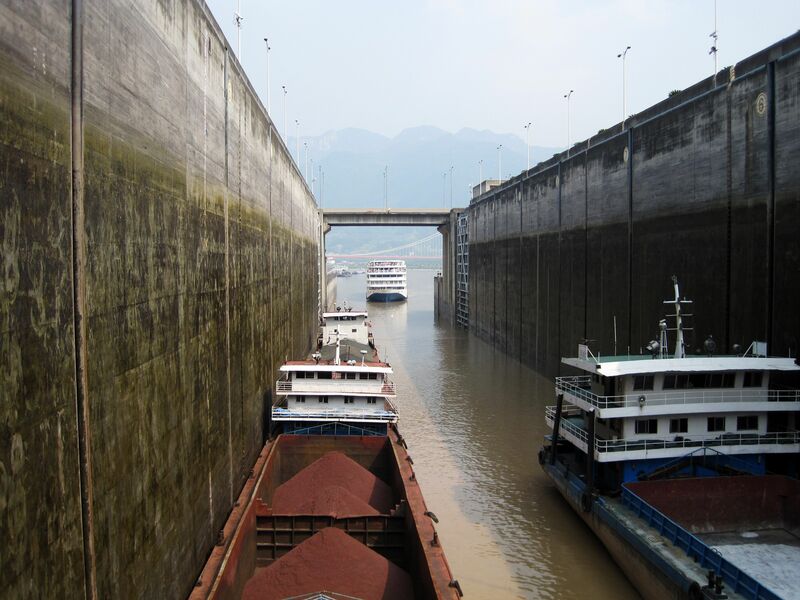 Two lanes consisting of 5 ship-locks each, allow for independent two-way traffic up and down the river for vessels up to 10,000 tones. 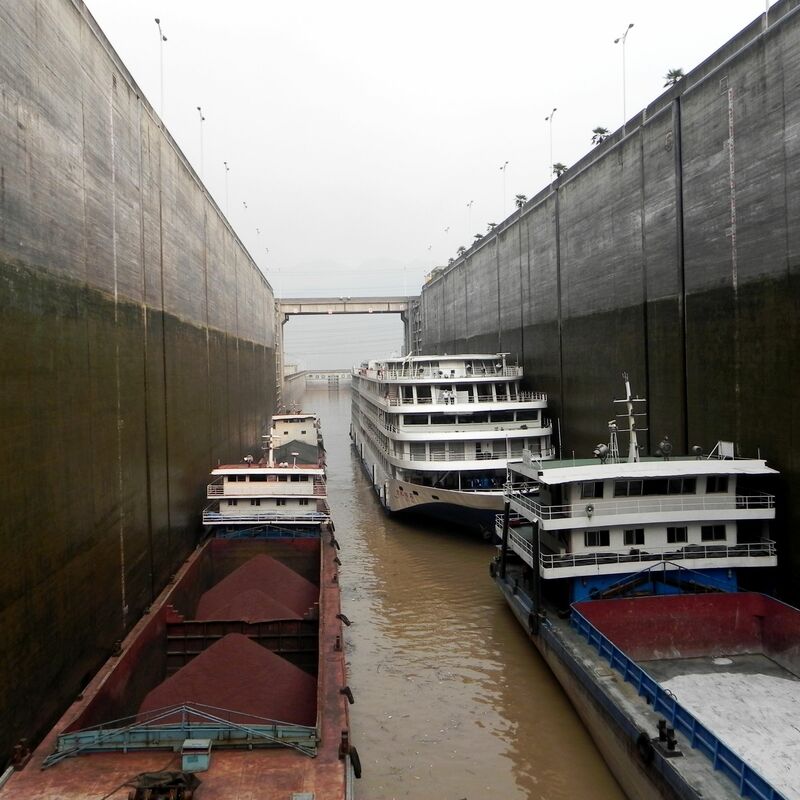 The ship-locks and Ship-Lift system can cover the whopping difference of water levels up to 371 ft (113 meters)! 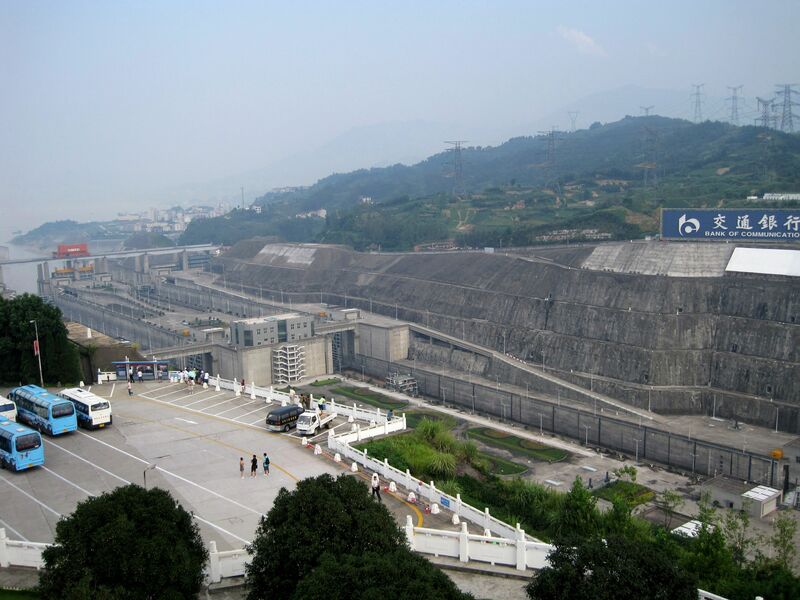 The whole Three Gorges Project (TGP) consists of gigantic concrete dam structure with two power plants on both sides and a massive spillway in the middle. 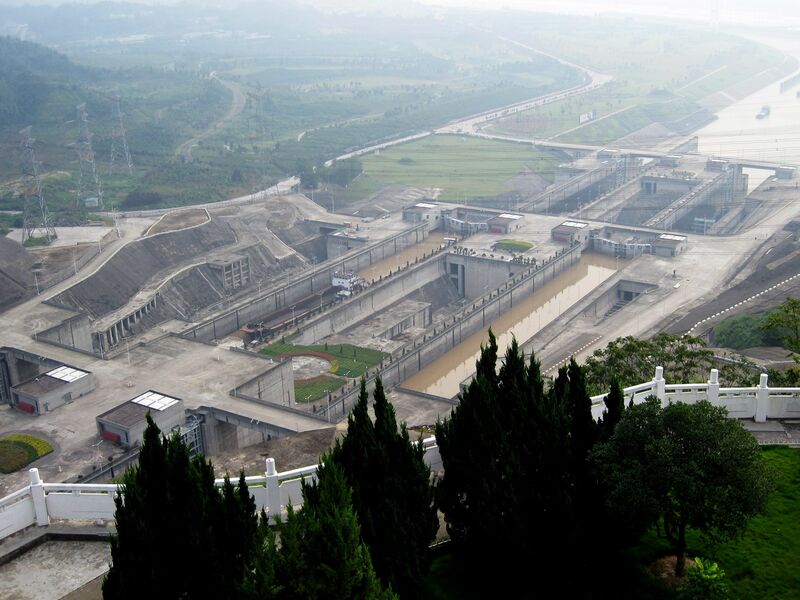 The Express Ship-lift and twin ship-locks are located on the left side of the dam (looking downstream). While the ship-lift is part of the main structure of the dam, the ship-locks are separated from the dam by the hill flanking the left side of the river (or rather fragment of what was left from it after cutting through rocks to make the way for the ship-locks). 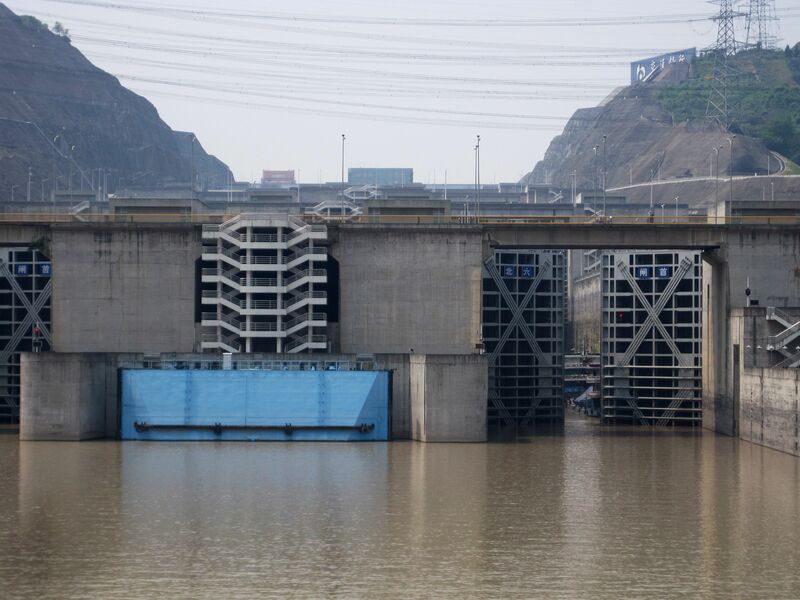 The dam was built to generate much needed electric power, to regulate the navigation on the upper Yangtze and to control floods. 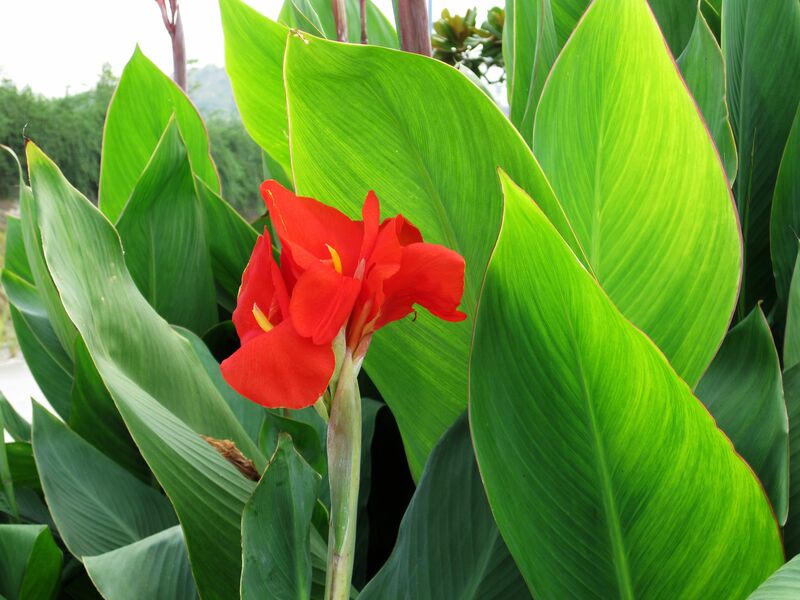 But like in the case of every mega-project, the positive aspects are always overshadowed by the negative ones. Forced relocations, flooded ancient cultural sites, water pollution, accumulation of silt, impact on environment are only few of many potential and/or real problems created by the dam. There are also questions regarding solidity of the dam’s structure and geological stability of the area which is known for potential tectonic activity. Although the dam was built to withstand the earthquake of up to 7 degrees in Richter scale, the recent catastrophe in Fikushimi (Japan) gave clear lesson that in the face of forces of nature nothing is fully immune to destruction. 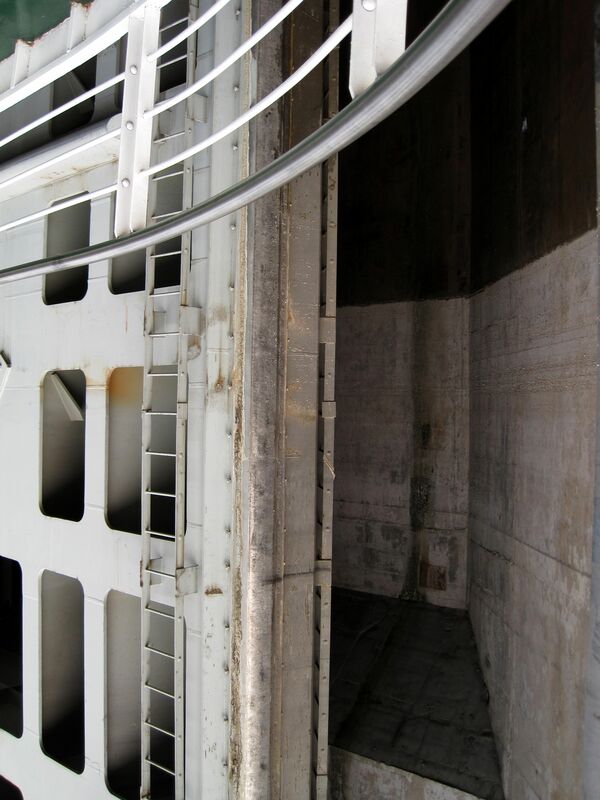 Inside of the ship-lock: Going up the "Barrier of Water"
The dam also changed the psychological aspect of the Three Gorges area. For centuries fear and anxiety due to dangerousness of wild forces of nature (turbulent waters, swirls and strong currents…) dominated emotions of travelers. But now, after the average level of Yangtse’s waters was increased by some 300ft (100m), the river’s course across the 3 Gorges dramatically changed. Treacherous Yangtze’s descent some 500ft (152m) down the Three Gorges is now reduced to mere 200ft (66m). Most turbulences, swirls, shoals, underwater boulders are all part of the past. So these days visitors cruising 3 Gorges are rather overwhelmed by feeling of peace, striking beauty and sort of timelessness usually evoked by large reservoirs of water ….. 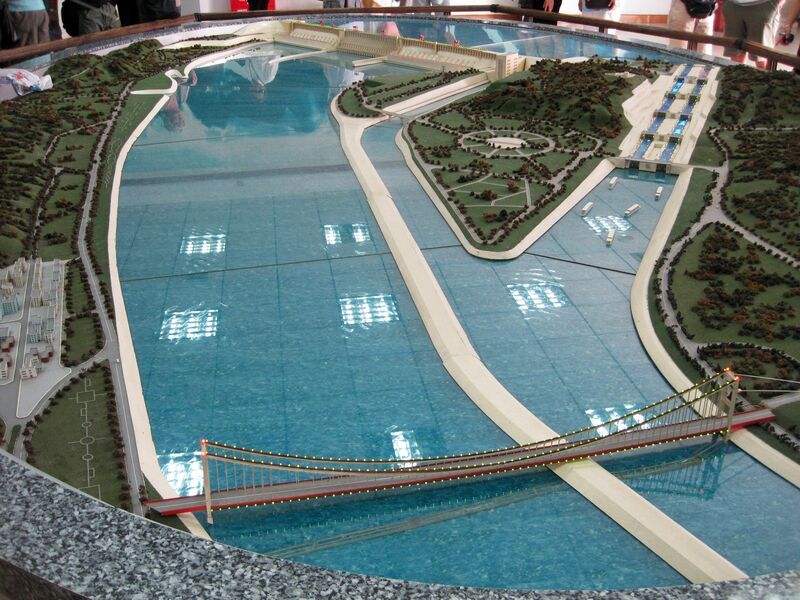 Visitor Center built next to the dam displays the model of the Three Gorges Project (TGP). Given the length of the dam and predominantly foggy weather, in most cases the dam’s model offers the best opportunity to comprehend and appreciate this monumental project. The Tanziling Ridge in front of the Visitor Center offers the panoramic view of the TGP from its observation platform on the top. The walls of the ridge are decorated with large relief sculptures. 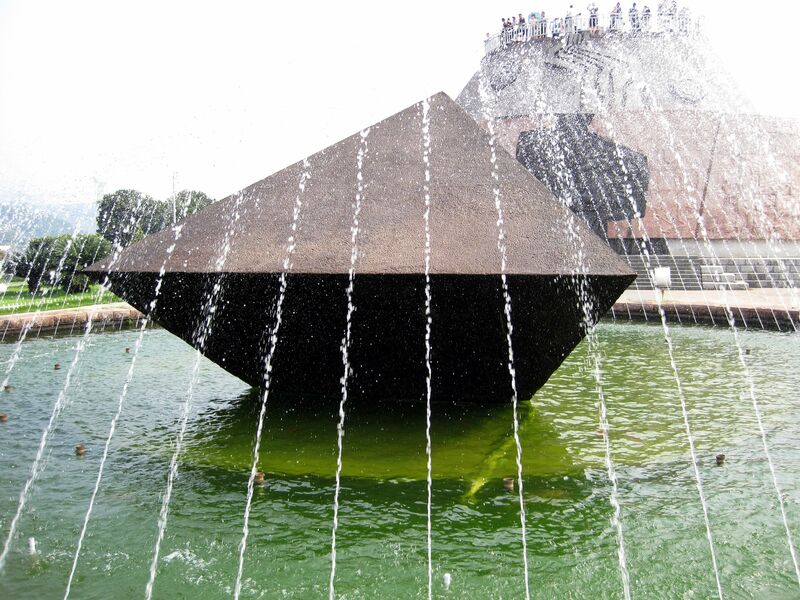 ….” Having people and water as the theme, reliefs present the traditional cultures of ancient Ba and Chu areas and depict the great undertakings of the Chinese people to harness the river along the course of history”…..
Next to the Tanziling Ridge there is a four-faced concrete structure called Tetrahedron. 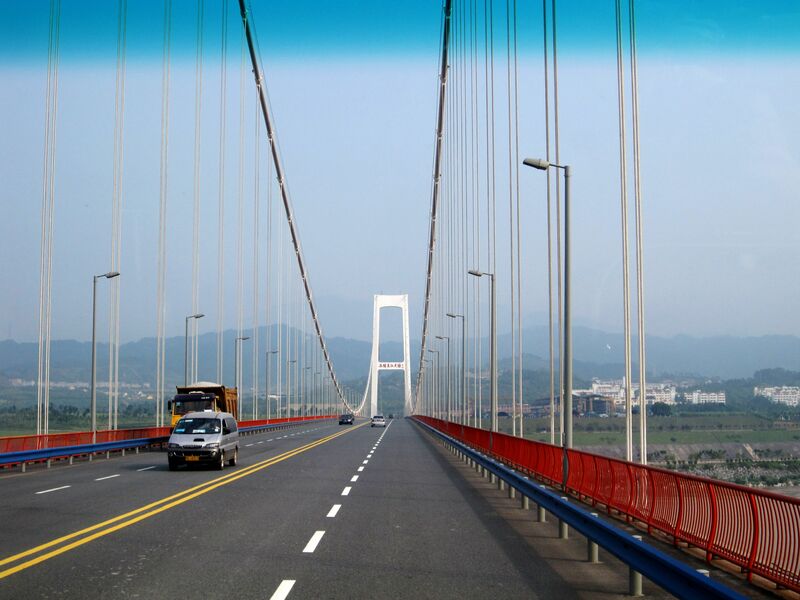 It is similar to those used to detour the course of the Yangtze during construction of the dam. 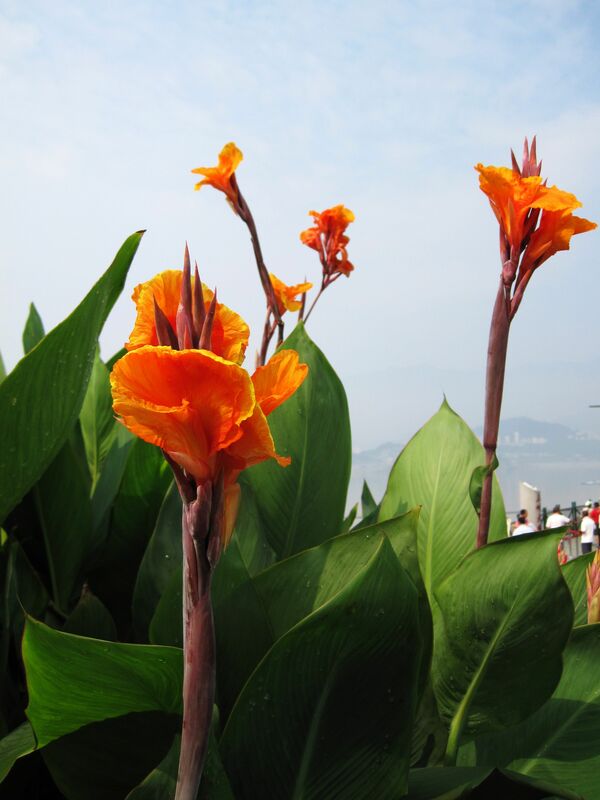 Shedding light on technical aspects of the project it also symbolizes the difficulties and dangers of damming the Yangtze River. 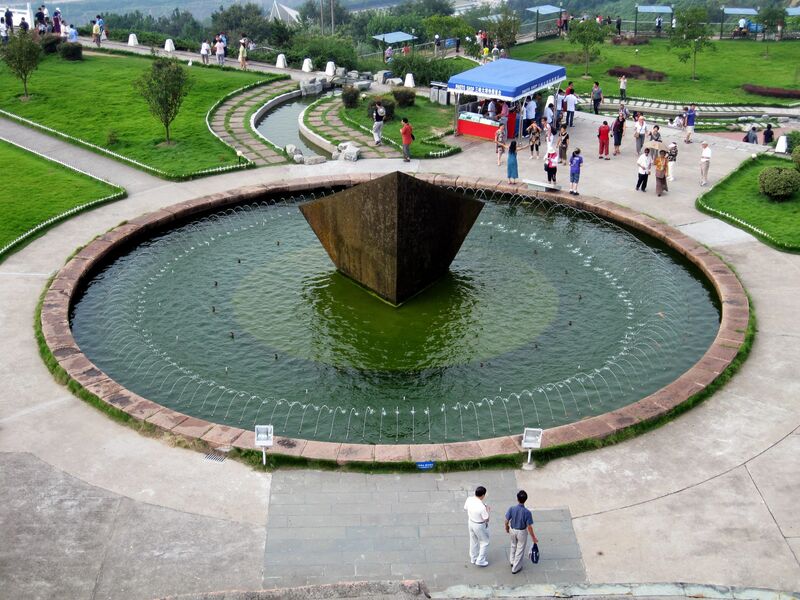 Memorial Garden with beautiful flowers gives the needed touch of nature to this world made from concrete…..